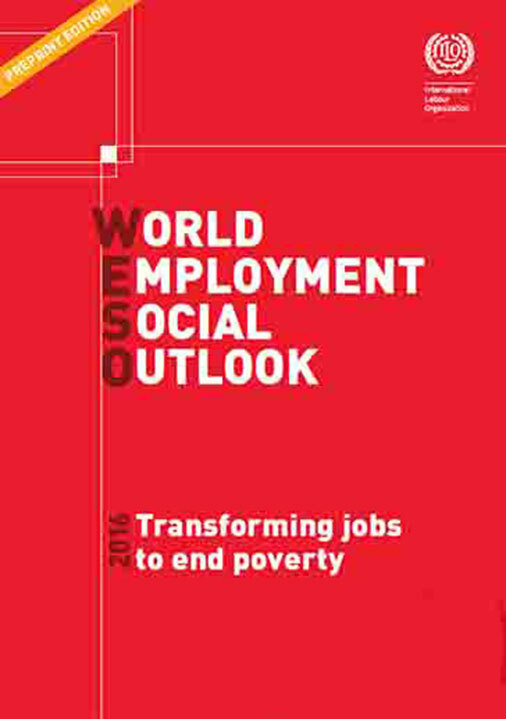 Seven measures to reverse deteriorating economic conditions and reduce poverty have been suggested by the International Labour Organization (ILO) in Geneva to overcome the conclusions outlined in its report, World Employment and Social Outlook (WESO) 2016 – Transforming jobs to end poverty. The report cites deteriorating economic conditions and a global deficit in quality jobs in a number of regions, including Caribbean nations. Poverty reduction across sectors within countries has also been uneven. Using the latest data, estimates based on 43 emerging and developing countries show that a quarter of those employed in agriculture were in extreme poverty (nearly two-thirds of all the working extreme poor), compared with just 12 percent of those employed in industry, and only 7 percent of those employed in services. Economic growth, when narrowly-based, goes hand-in-hand with persistently high or rising poverty rates. Policies need to diversify the productive base and tackle low-productivity traps, by i) spurring sustainable enterprises and facilitating transitions from the informal to formal enterprises and employment arrangements, ii) tackling job precariousness, and iii) investing in skills and in lagging sectors, particularly agriculture and rural non-farm economies. Individuals should be empowered to refuse unacceptable forms of work, which highlights the importance of international labour standards and social protection floors. Collectively the poor and vulnerable also need a voice to be able to influence national labour policy. Employer and worker organizations therefore need legal protections to enable them to represent the poor. Governments should draw on the many recent examples of successful employment and social policies, which boost employment prospects of the poor, in both advanced economies and developing countries. In addition, given the high incidence of poverty among children, it is urgent to strengthen targeted schemes that combine education with income support. Poverty is often associated with a low implementation capacity of public administrations. To implement the above policies, an effective labour administration, delivery institutions and social dialogue are essential. Also, to ensure that income support reaches the poor, corruption needs to be tackled. As many of the policy tools identified require a reorientation of policy priorities and government funds, a progressive tax base and fair tax treatment of large and small enterprises are important in providing funding while improving incentives. This would be an effective way of making the rich aware of the fact that persistent wealth and income inequalities might impede further progress in poverty reduction. The evidence shows that decent work is a necessary condition for ending poverty by 2030. The ILO will work to catalyse international cooperation on policies that boost decent work and sustainable enterprises, in close cooperation with the UN, the World Bank and donor countries.